Getting Ready for Outriggers 5K! It’s been a busy summer here at OTR and it’s only going to get busier!! Coming off the Lunar Rendezvous 5K, and the On The Run/New Balance Bra night. We are looking to start August and the Back to School Season off with a bang! Outriggers 5K will be August 8th (click here for registration). Great race and great post race party! That week of the 5k we will have packet stuffing on August 6th, at 6:00 P.M. here at OTR. Packet pick up will be on August 7th, from 12 P.M. to 6:00 P.M. here at OTR. Volunteers need for packet stuffing and packet pick up. 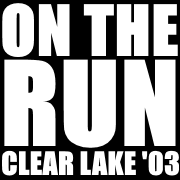 Please email Cheryl@ontheruntx.com for more info.